Happy Thursday friends! This is another outfit from the amazing Dr. Jemima of Nanayah Studios. 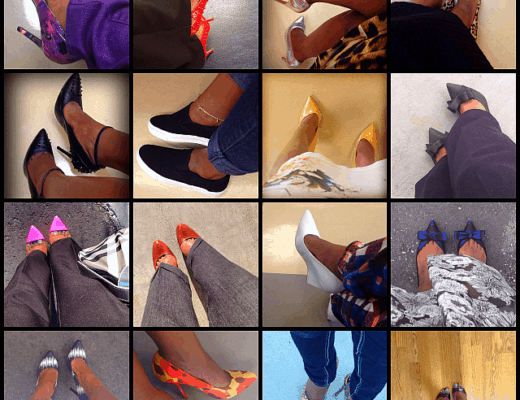 Last month, I completed my 20+ days of African print fashion. 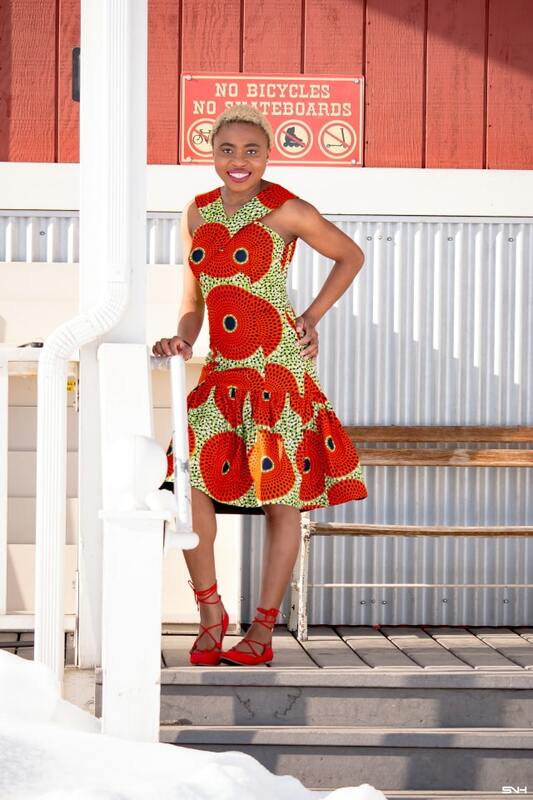 This beautiful African print summer dress was what I wore for day 19 of the series. On Tuesday, we finally hit 60+ degrees! The rest of the US has been enjoying toasty-warm weather and now Alaska is finally joining the league 🙂 It’s been a hot minute since I knew what warm weather felt like. You’ve seen me wear more than a handful of African print styles from Dr. Jemima. 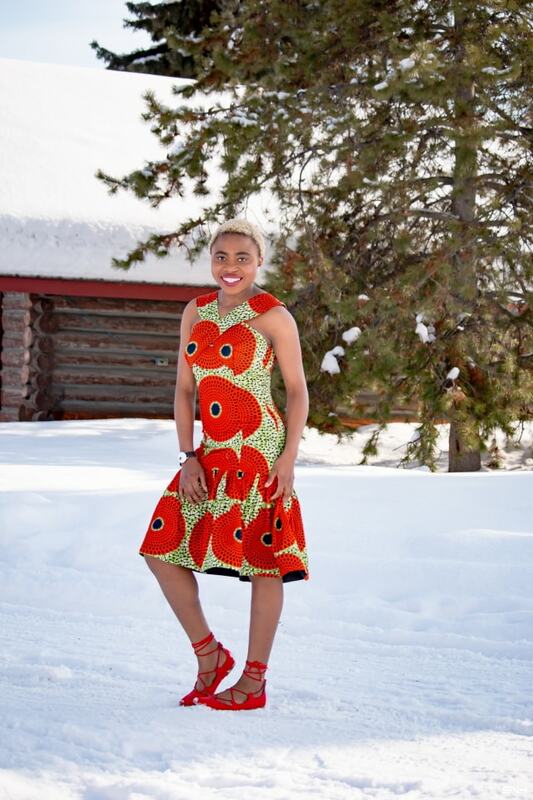 She makes bespoke womenswear like this African print romper I wore in Utah last summer. Also handmade by Dr. J is this stunning ankara palazzo pants and shirt set from this time last year. I’m definitely a big fan of Nanayah Studios. 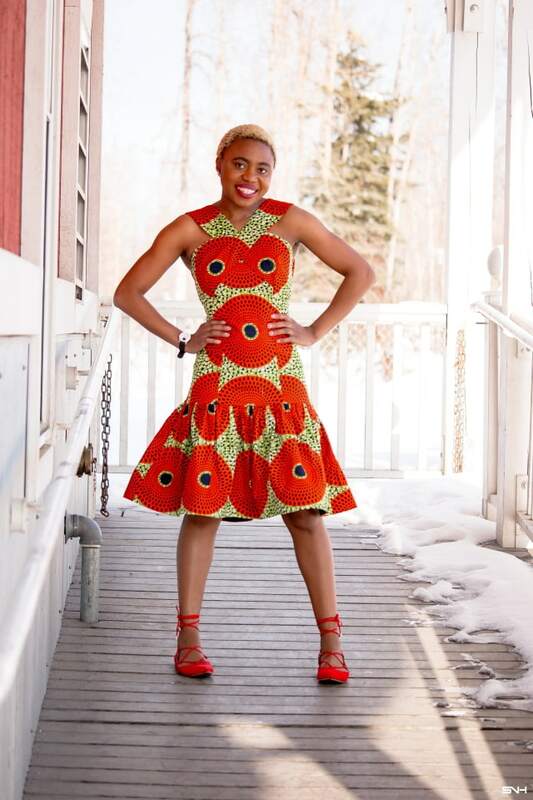 If you’re not familiar with Nanayah Studios, I encourage you to read day 9’s post from the series, Asymmetrical Ankara Peplum Top to learn more about Dr. Jemima and her line of clothes. Sadly, the exact fabric I am wearing is currently unavailable. 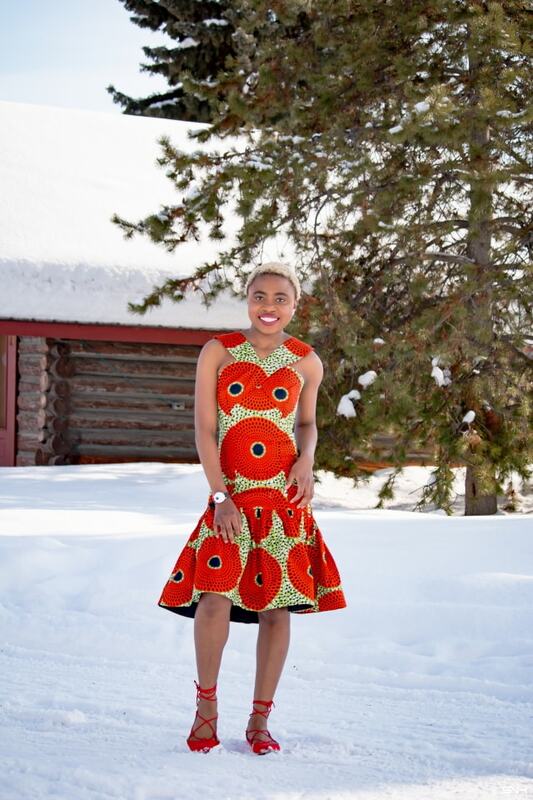 If you love this sleeveless crossover sleeve dress, definitely contact Dr. J on Etsy to get a selection of genuine African print fabrics that she has available. My tie-up lace flats is an oldie from JustFab and I just found out they are back in stock in black and glitter color options. However, they are selling out fast. 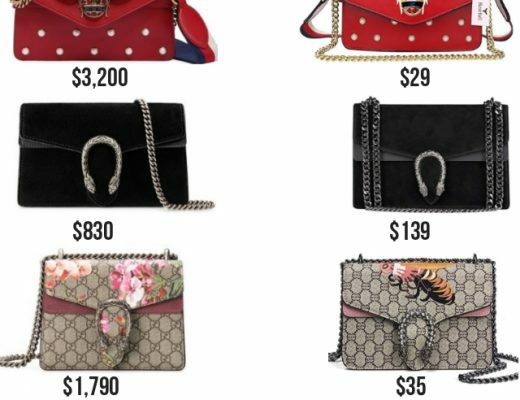 Worth the $40 investment for your summer closet! I have so many fun ideas and looks to share with you once I conclude this African fashion series. It’s going to be a lot of fun! 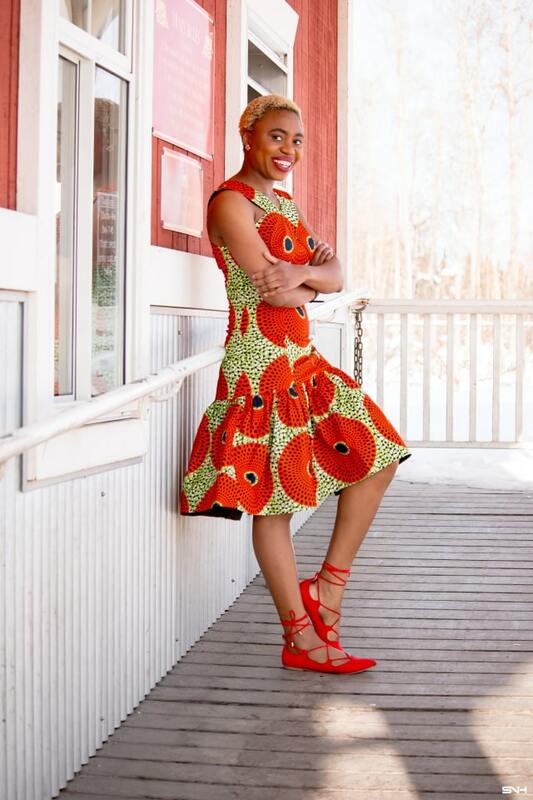 For more African print styles, check out the rest of the 20+ Days of African Print Fashion series to see all the featured styles and designers. 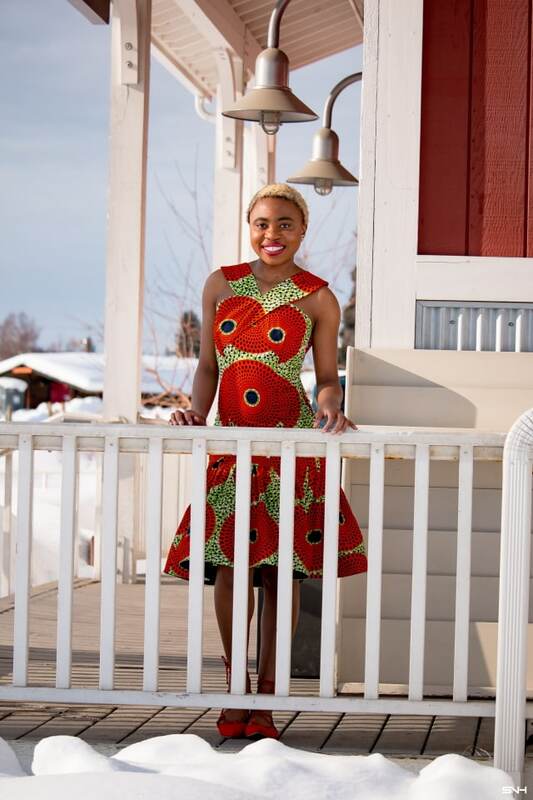 You can connect with Nanayah Studio on Instagram and shop her collection of African print styles on Etsy. As always, thank you so much for reading! Glad to hear you are getting some warmer weather. Thank you Amy. Hope the weather is treating you well. Oh thank you Natalie! So kind of you to say.